Sun, sea and spending are the three components of the average Mediterranean cruise. The cruise costs a lot, the frequent port visits inevitably drain your bank balance and you always end up forking out more euros than you wanted for an emergency cab ride from Rome back to Civitavecchia before the boat leaves. All is not lost if you want to do the Mediterranean by cruise ship, though. It can be a good value way to travel if you follow a few rules before you leave and while on board. Skip the first one if you’re acquainted with cruising already. Familiarise yourself with the terminology and lingo. There’s more to it than just port and starboard, fore and aft – get to know what staterooms, atriums, muster stations, tenders and pursers are. In fact, the purser will play a significant part in your holiday. Without an understanding of these words you’re likely to make your holiday more difficult or pay for things you don’t need. Cruise line websites should make things fairly clear but if you’re booking through a third party then you’ll need to do the research yourself. It’s definitely worth checking out the cruise companies first. A lot of lines run low season discounts which surpass any offers on Expedia, and there are some exclusive offers for readers of certain magazines and newspapers. If you have a particular destination in mind then have a Google for local cruise deals, otherwise (if you’ll take what you’re given) have a look on bargain forums and holiday sites for the most up-to-date deals. If you find the cruise you want then try to strike a bargain with the cruise company – they’re often open to negotiation when it comes to prices and cabins. Once you’ve checked the cruise companies, move on to third party websites. Expedia, Travelocity, Thomas Cook, and especially Iglucruise will all provide cheap cruise deals and an element of cruise planning. There are dozens of other reputable websites but make sure you avoid the scams and the unaffiliated websites – you could be left up the creek without a paddle. These websites will either have bought up large numbers of staterooms and cabins in advance for a very low price, or they’ll have direct access to the booking systems of the big cruise lines. They will pass any discounts they receive on to you. Before you book, have a Google for any discount codes which may be kicking about. Often there are promotional codes which you enter at the “checkout” stage of your order, which will knock 10%, 20% or even more off the total cost of your cruise. Booking very, very early. If you book as soon as the cruise is planned (normally a year or more in advance) then the price will be considerably lower than if you book a few months before you set sail. Conversely, be aware of any last-minute bargains. They could have a lead-time of a couple of days, but you can pick up some impressive discounts this way. Often, these take the form of an auction. 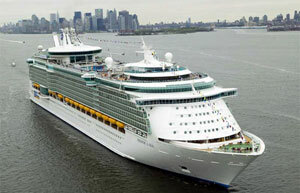 “Inaugural” cruises are cruises which take place on new ships, new routes or on new cruise lines. Because cruises gain popularity through word of mouth, the newest products command lower prices. There’s something called a repositioning cruise. This is when the cruise line moves one of its cruise ships to accommodate a different season’s passengers – for example, moving a ship from the Caribbean to cater for Alaska over winter. These ships need to be fully crewed and they’re still burning fuel, so cruise lines like to keep these vessels filled even when they’re just in transit. Expect cheap cruises on less orthodox routes. Cruises will be very specific in what is “all-inclusive”. If your cruise is all-inclusive, then the chances are you’ll have three square meals and as many soft drinks as you can reasonably consume. You’ll have to fork out for any alcohol, and any food which doesn’t come from the buffet-style or cafeteria restaurants. The proper restaurants will smell delicious and look fancy, but they’ll dent your wallet if you don’t treat them with caution. When you get to a port, make sure you know what you’re paying for before you get on a coach or sign up to a tour. They might be expensive and useless, so consider just exploring the port on your own. On the other hand, sometimes the tour operators have access to attractions which would be out of your reach. Do the research. Get your own travel insurance. The insurance provided by the cruise line is likely to be expensive and sometimes inadequate. Ensure your policy is up-to-date (an illness on a ship at sea is scary enough, but not as scary as a bill for a helicopter to take you to hospital) and that it covers you for all the countries and waters you’ll be travelling through. Courtesy of Kelly Darmer of Iglucruise, offering cheap cruise deals on the Independence of the Seas and many other liners.